The bad news this morning was that the Liverpool Ranger Service will soon be cutting its staff down to just two Rangers. Richie Baker has already retired and Ranger Ronnie’s last day was 28th February. 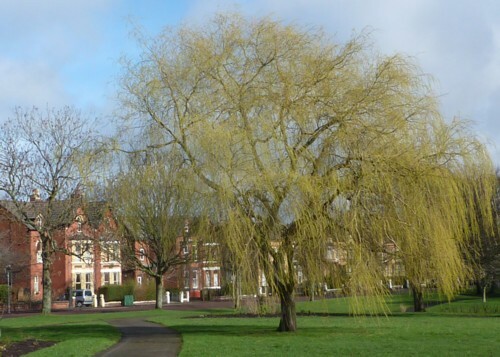 We decided to support them by attending two Ranger Walks  “Tree Identification” in Newsham Park in the morning and “Great Victorians” in Sefton Park in the afternoon. 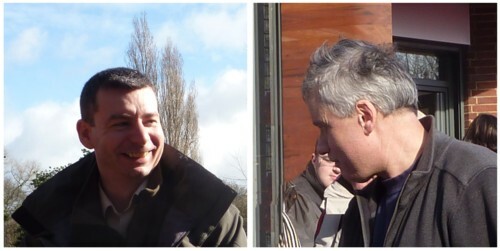 We took the number 12 bus at 10.18 to Newsham Park and met Ranger Paul opposite the Police Station at 11am. The rain showers didn’t last long, but it was overcast with a cold wind. However, the daffodils were nearly out and the beds of white and purple crocuses were splendid. The turnout for the walk was fairly poor  just the eight of us and two others. Paul showed us how to use bark and buds to identify Beech, Hawthorn, Willow, Cherry, Lime, Horse Chestnut, Ash and Silver Birch. 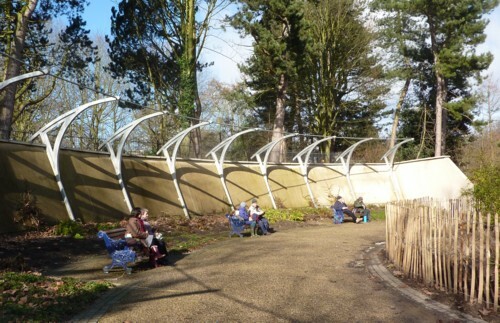 We just caught a 168 bus at five past twelve, and we were at the Aviary in Sefton Park to eat our lunches at the exceptionally late hour of 1pm ! No, that’s not us  THIS is us. Happily the sun was starting to come out, and some of the early shrubs were in bloom. 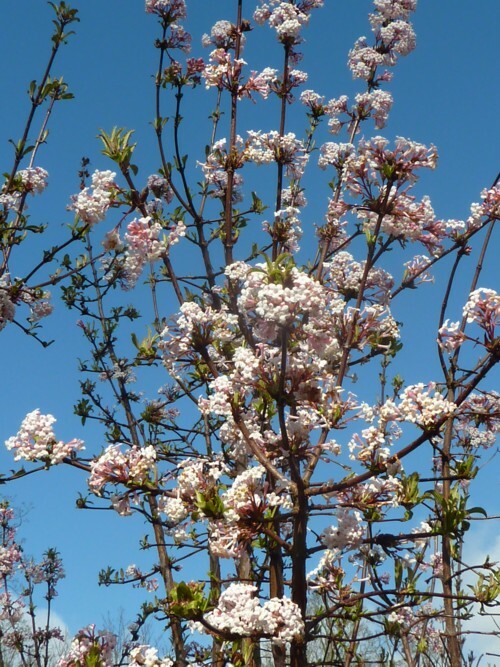 This is probably Viburnum x bodnantense. 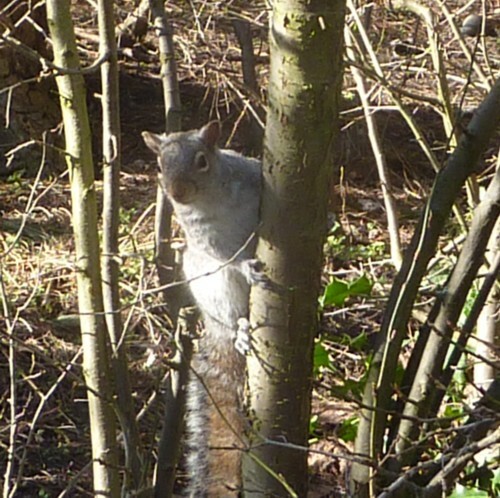 The Feral Pigeons were courting energetically and a Grey Squirrel peeped at us from the shrubbery. It was a far better turnout for the afternoon walk, with about 30 people altogether. Ranger Paul walked us around the Eros Fountain, (the Shaftsbury Memorial Fountain), the Bandstand, the statue of William Rathbone, the Palm House, the Peter Pan statue and the Obelisk. 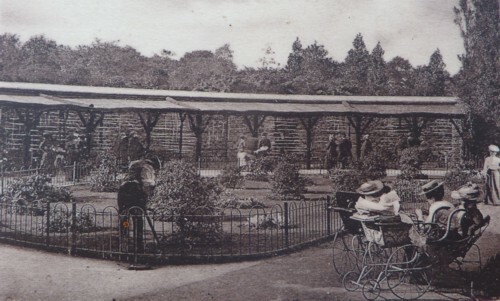 A fine picture gallery of the park and its monuments can be seen on the Allerton Oak / merseySights webpage. 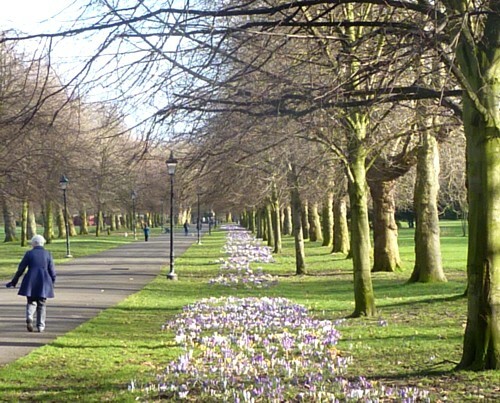 We were particularly impressed with the avenue of crocuses along the North-West Avenue to the Obelisk. I have e-mailed Liverpool Council expressing the Sunday Group’s disappointment that they are cutting down the Ranger Service so savagely.